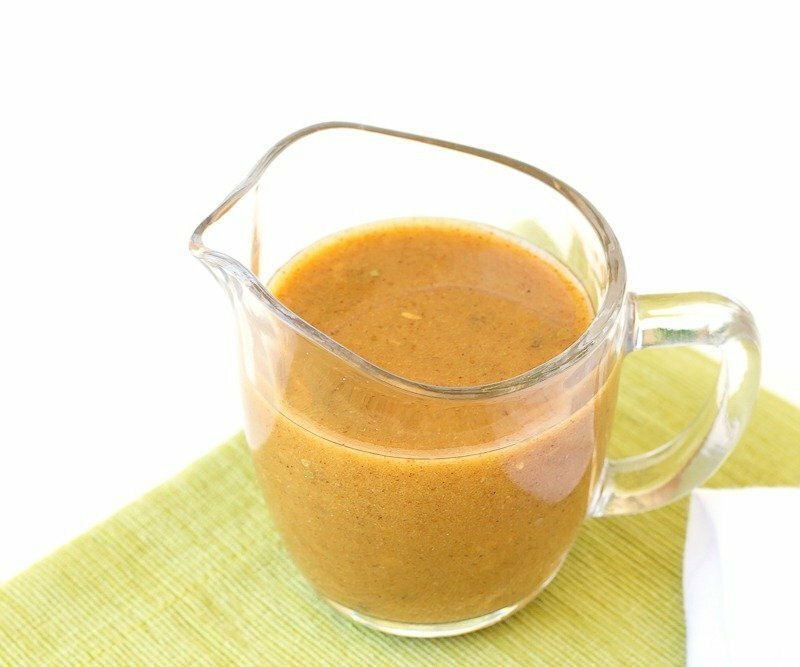 Give your favorite summer salad a spicy makeover with this Ancho Chile Vinaigrette. 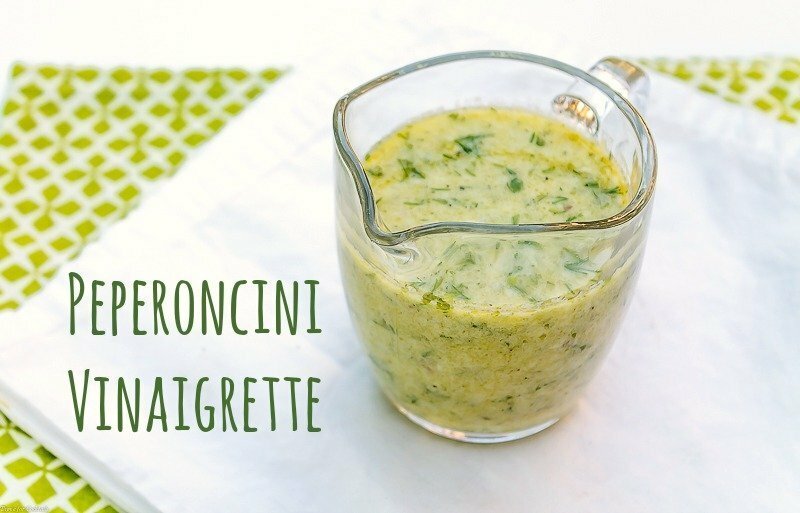 Perfect on a hearty steak or grilled romaine salad. Weekend before last was all about puttering around the casa. Paul finally had an entire Saturday off so we maxed out on chill time, tested a few new cocktail recipes and kept our meals simple. It was a blissful binge-watching day that we really needed to recharge. [bctt tweet=”Ancho Chili Vinaigrette #summer #grill #beef” username=”thyme4cocktails”] For drinks we had the Blood Orange Negroni I created for the SoFabFood site in June. And I can’t wait to share this summer-time take on a classic Italian cocktail with you folks! Lunch was a big ole’ clean-out-the fridge-salad topped with leftover shredded beef. Ok, at least it was for me. Paul naturally grabbed the tortillas to make beef tacos. 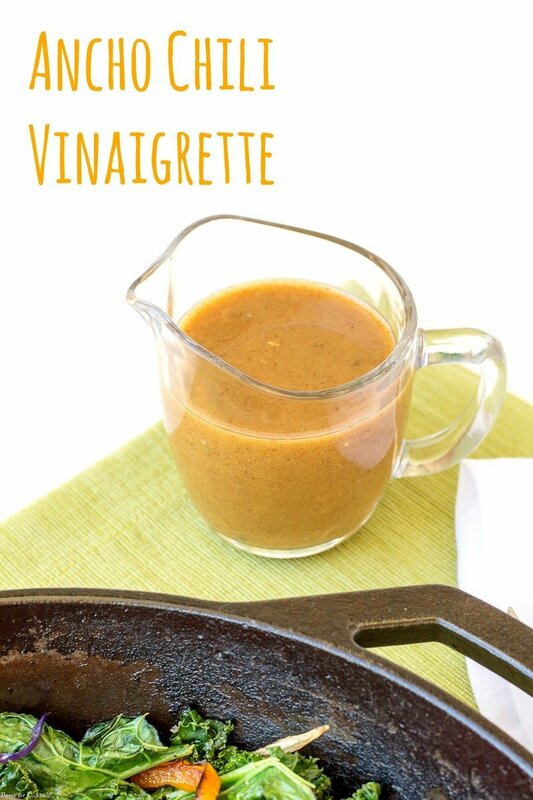 But he did try this Ancho Chile Vinaigrette and drizzled it on his tacos. Kinda weird, but that is just what he does. The spiciness is a great pairing with beef like over my Steak Fajita Kale Skillet Salad but would be equally delightful on chicken too. 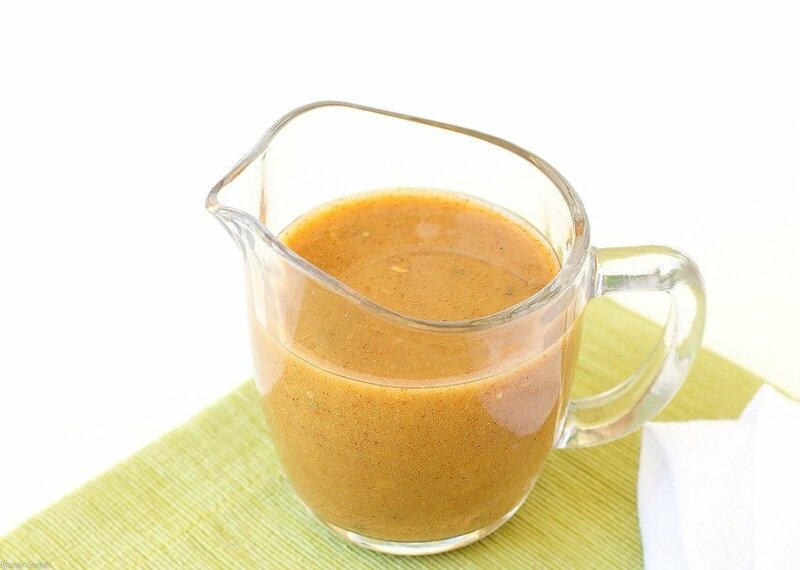 And like a lot of homemade dressings it would be an awesome marinade too! 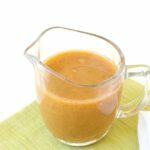 If you like this, be sure to check out my scratch-made Peperoncini Vinaigrette. Add all ingredients to a lidded jar. Close and shake vigorously. Store leftovers in an airtight container in the refrigerator for up to two weeks.